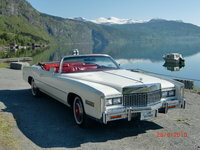 Have you driven a 1976 Cadillac Fleetwood? 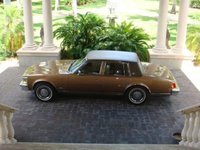 Displaying all 3 1976 Cadillac Fleetwood reviews. Vivica — All original Cadillac Fleetwood Brougham d'Elegance ( that's how to name a car!) with 47,000 miles on it. I bought it from the original owner with only 33,000 miles. This car rides so nicely! It doesn't get gas mileage at all so why even worry about it. Pros: It's got foot rests! Cons: Trying to keep trim parts from breaking or falling off due to age and dryness. This was my first "investment" vehicle that I bought in September 2008, from a dealership in Los Angeles, to be imported to Australia! 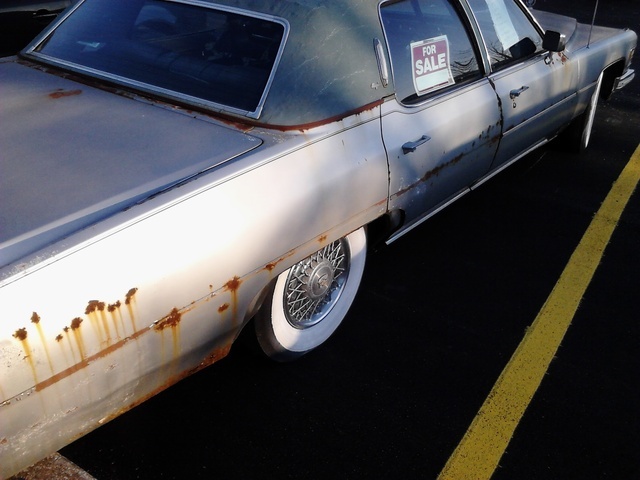 Here it is classified as a limousine, and is in near-mint condition. Not bad for a 32-year-old car! I am the second owner; the original owner is 77 and sold the car to the dealership in September because he is no longer allowed to drive. A shame, because he kept the car in outstanding nick. Everything is original, and works flawlessly. Mechanically, it has been strongly maintained and, again for its age, runs excellent. This is a very, very rare car in Australia and thankfully is allowed to be kept LHD. 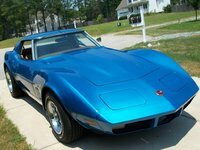 There is one here for sale locally at the moment for $30 000. I paid only a fraction of this so as can be seen, it is certainly a vehicle that will appreciate in value! Loaded of course with all the usual Cadillac options; power everything, full leather, CD stacker, even opera lights in the front doors so you can see what buttons you're pressing on the armrests when it's dark! As luxurious and comfortable, if not more so, than any prestige vehicle on the market today. Now this is an enormous car, just huge in size, at over 20 feet in length and far larger than anything on Australian roads (even from the same period). It does not fit in a standard parking space but it handles beautifully, with a very smooth ride that feels like you're gliding above the road. Meanwhile, the engine capacity is also vast - an 8.0L V8 that simply chews the gas! Expensive to run in this day of high petrol prices, but worth it. Every second person on the road stops and stares and everyone loves it. I just hope Casey Savage loves it enough to let me take her to her formal in it. I have enough else to worry about and pay for without trying to find a white stretched limo, which is what she really wants! Im In Love — I love the feeling of power this car gives you especially someone with lots of insecurities. The slushy "aim it and hope for the best" type handling the 45 degree tilt when going round corners, the crappy mileage, the 9 passenger seats and the roar of the 8.2L 500ci bullet proof V8. When i'm on the road I am king. Look out toyota smart car - i think i hit a bump in the road.